Heading into last year, we had predicted that increased competition in direct online lending, or Marketplace Lending, would benefit borrowers. The second half of last year proved this theory as new entrants into the market continued to compress rates being offered to borrowers. This year will be no exception to this trend as the market will be flooded with new direct lenders. Not to be outdone, larger funding entities such as OnDeck and Can Capital will go on pouring enormous resources into gaining market share. Stacking is an industry term for taking multiple loans within a short period of time. Although there can be good reasons to take out more than just one loan (see our article on stacking), borrowers must be extremely cautious when doing so. Common sense is king when borrowing money. The industry is still plagued with bad actors who prey on borrowers seeking working capital. Borrowers who have managed to secure funds from online lenders typically have a lien placed on their business. Called a UCC filing, this lien is standard practice for all types of lending. Unfortunately, it is common practice for brokers and lenders alike to purchase UCC lists and barrage borrowers with offers to secure additional capital. Often times, the people making these calls are less concerned with your ability to pay back a loan than they are with getting a commission on newly originated loans. Direct lenders today typically offer “advances” rather than loans. In most cases, it is a difference without a distinction so it’s important to understand why this is done. On the lender side, there are advantageous tax consequences by simply calling this funding an advance and not a typical loan because this type of lending is still largely unregulated. From the borrower’s perspective, it operates very much in the same way. Money is given, or “advanced,” to the borrower who promises to pay it back at a premium. In this respect, it is considered an advance against future billings or earnings. But for all practical purposes, it behaves just like a loan. We draw attention to this definition because most online lenders offer a “factor,” without necessarily quoting an interest rate. One reason they do this is that the payback figures are typically much higher than conventional loans, and the offers don’t sound nearly as appealing when they're quoted as an interest rate. Factor rates range between 1.1 and 1.4 for most lenders. The term of these advances can vary anywhere between 3 months and 36 months, though there are always exceptions. The payback is determined by multiplying the amount of the advance by the factor rate. The term is the amount of time you’re given to pay back this total amount. ...now that there are so many funding options, even lenders with the highest cost of capital have had to reduce their factor rates." So who are these non-bank lenders that comprise the online lending marketplace anyway? It’s a good question. Non-bank lenders have entered the online lending arena at a surprising rate. They range from wealthy individuals or family office funds to hedge funds and investor pools. OnDeck is the only online lender that has gone public thus far. Given all the variations, there is no central underwriting standard. In fact, every company seems to have its own “secret sauce” and favorite type of business. Navigating a lender's sweet spots and learning what kind of borrower's profile it prefers is important when trying to connect borrowers and lenders. 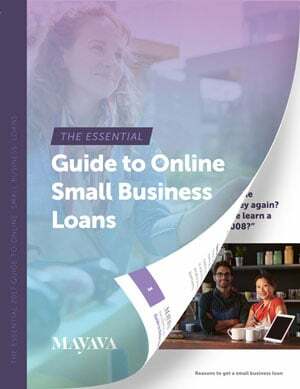 Cost of Capital – Unlike traditional banks that can access a percentage of deposits from consumers, most marketplace lenders use outside money from funds or credit sources that require a basic return on investment. Therefore, increases in interest rates will have a dramatic impact on lenders that haven’t secured long-term funding at low interest rates. This situation may be the biggest driver of capital costs over the coming months and years because rates have been artificially suppressed since the financial collapse of the Great Recession. Cost of Customer Acquisition – Because marketplace lenders don’t have established banking relationships, they must generate interest in their products essentially from scratch. This is an expensive proposition, and one of the primary reasons companies like Mayava Capital and other brokers exist. Personnel – No matter how sophisticated the underwriting procedures are for marketplace lending companies, human interaction is a necessary component to building a solid platform. Now that online lending is expanding and its reputation has been steadily improving, quality people are being recruited into the space. Look for this trend to continue. It is a positive development for the industry as a whole but it comes at a cost, particularly because these players have a multitude of options. Defaults – Although it’s difficult to ascertain true default rates from most marketplace lenders, borrowers who can't secure traditional banking loans are simply more risky. Therefore, lenders have no choice but to build premiums into their offerings to offset the inevitable. No matter how tight the underwriting practices might be at any given lender, defaults are a reality, and borrowers will continue to pay the price. Greater pressure on the lenders from the rising cost of capital to increased competition will have a positive net benefit to the borrowers. Several lenders in the market today won’t be able to withstand the strain, which will only ensure that the lenders who are well capitalized, have mature underwriting practices and quality personnel will be the ones who make it through 2019. These lenders will ultimately win by providing better rates and better service, which are both better for the borrowers.